Prime & Provisions, the new steak house by Chicago’s DineAmic Group, straddles the line between approachable and chic, offering top-notch fare in a comfortable setting. The restaurant opened in May in a 100-year-old building located on the border of River North and the Loop. Helmed by Windy City chef Joseph Rizza, the venue serves prime heritage Black Angus beef sourced from a farm in Kansas and dry-aged on-site for a month. The menu lists such cuts as porterhouse, bone-in ribeye, strip and filet ($29 to $72), as well as several seafood entrées and sides like whipped potatoes and charred Brussels sprouts. Prime & Provisions also puts a heavy emphasis on the bar, highlighting classic cocktails ($14) like a Knob Creek rye–based Manhattan and a Boodles gin–based Southside. The restaurant has more than 25 craft beers ($6 to $16 a draft pour or bottle) and an extensive wine list that includes upscale glass pours like Krug Grande Cuvée Champagne (wines are $11 to $55 a glass; $49 to $5,000 a 750-ml. bottle). A cigar menu is also available, and guests can smoke on the outdoor patio or along the nearby Chicago Riverwalk. Hospitality company EveryDay Life unveiled the restaurant and lounge Toca Madera in West Hollywood, California, in April. The eatery offers modern organic Mexican food, with a focus on shared plates and locally sourced ingredients, and boasts a 100-foot crystal-quartz bar that showcases a variety of Tequilas and mezcals, California craft beers, and wines from around the world. Toca Madera’s food offerings range from braised short rib taquitos and beer-battered Chilean sea bass tacos to sashimi and ceviche ($8 to $38). The venue’s drinks list emphasizes Mexican spirits and flavors in cocktails like the Amante Picante, made with Don Julio Silver Tequila, Patrón Citrónge Orange liqueur, serrano pepper, cilantro, lime juice, agave syrup and tajín spice (drinks are $14). EveryDay Life plans to open units in San Diego and Mexico as well. 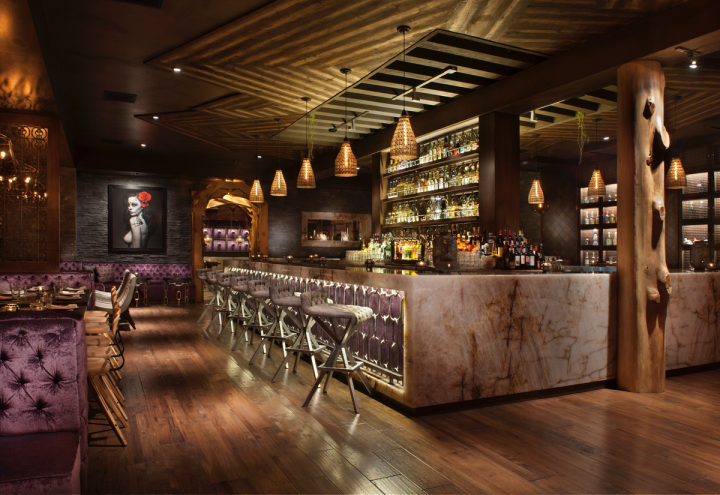 Chef Julian Serrano unveiled his upscale dining destination Lago in April in the Bellagio Las Vegas resort. Overlooking one of the hotel-casino’s famed fountains, the contemporary Milan-inspired restaurant emphasizes small plates and features an Italian-themed cocktail menu, along with more than 700 wines. Manhattan nightlife veteran Pedro Zamora debuted the upscale Mexican concept Cantina Rooftop in May. The indoor-outdoor space boasts a menu of classic and contemporary Mexican fare, offering full entrées and small plates. The beverage program includes specialty cocktails, bottle service, and myriad Tequilas and mezcals. 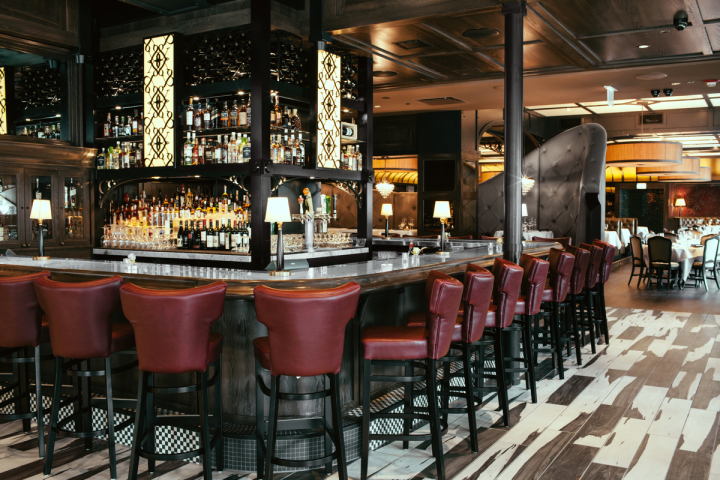 The New York City–based Il Mulino concept added a fourth restaurant, opening a new location in the Hilton hotel in Nashville, Tennessee’s Downtown area in April. The venue serves cuisine from Italy’s Abruzzo region updated with local influences and offers nearly 200 wines and many grappas and Bourbons. The Mediterranean-Latin restaurant Gardenia opened in May in Manhattan’s West Village. Operated by Jorge Guzman Hospitality Group, the restaurant features seasonal fare like grilled octopus and sardine crostini. Gardenia’s drinks menu highlights agave-based cocktails and Old and New World wines.